HostForLIFE’s servers are optimized for web applications such as dotCMS. The performance and the uptime of the hosting service are excellent and the features of the web hosting plan are even greater than what many hosting providers ask you to pay for. What is European dotCMS Hosting? dotCMS is an Open Source Content Management System (CMS), built on leading Java technology and open standards (SaaS, PaaS and On-premises CMS). 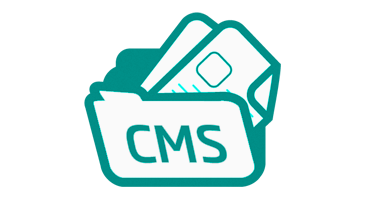 The driving concept behind content stored within dotCMS is that it is addressed through a system of structures. Structures are administrated through a back end portlet where fields are assigned to them. Fields are named and given a content type and then ordered. Each structure can then be permissioned and used when creating content, and allows different types of content with consistent components to be referenced for display on the front end. A "web page content" structure could be assigned a title and body, for instance, while "events" have titles, dates, times, locations, descriptions, links, etc. Why Choose HostForLIFE.eu for dotCMS Hosting? Try our Free dotCMS Hosting today and your account will be setup soon! You can also take advantage of our Windows & ASP.NET Hosting support with Unlimited Domain, Unlimited Bandwidth, Unlimited Disk Space, etc. You will not be charged a cent for trying our service for the next 3 days. Once your trial period is complete, you decide whether you'd like to continue.